Kid's & Children Wedding Favors! 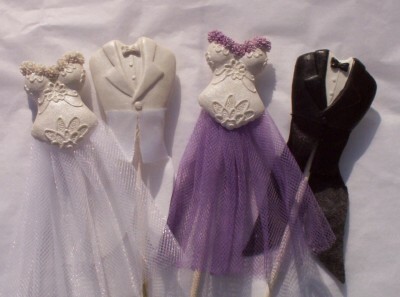 These wedding favors are great for children. 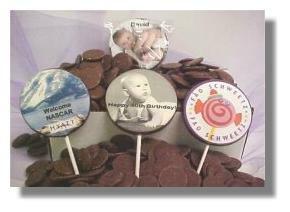 If you are looking for items for birthday parties, weddings, Christenings, or gradation parties, you will find it here.Alphabet Pop, Bathing Beauties, Confetti Bubble Bath, and Lollipals are some of the most popular favors for kids. 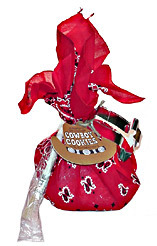 We have also added new lemonade and cookie kits. 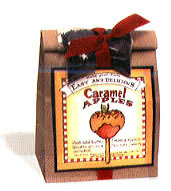 Candy Apple Kit Totally delicious and easy to make all-natural caramel mix, wooden sticks and jimmies for decoration. Just add butter and cream. Enough mix for 6-8 medium apples. Price is per mix. Must order in increments of 12. Cookie Mixes Some of the best selling products! These easy to make, all natural cookie mixes are tied with colored ribbon and custom cookie cutters and make bright, colorful, and fun gifts for every occasion. Order in increments of 12. Orders will not be filled if not in increments of 12. Price is per cookie mix. 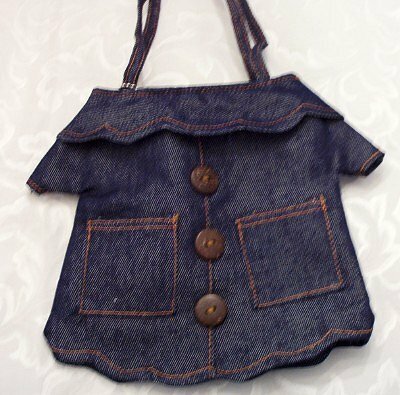 Denim Gift Bags These cute denim gift bags are perfect for bridal showers, baby showers and parties. They can be used as a little purse once the gifts are removed. 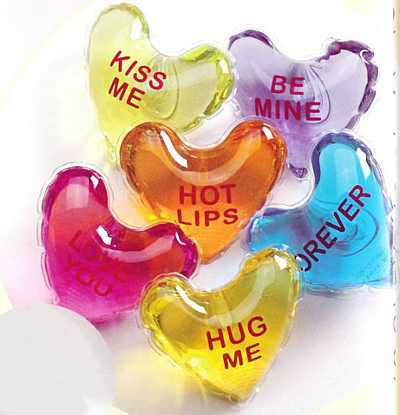 You can fill them with our cute lip glosses, especially the dress lip gloss. Great for party favors. 8" x 8" x 3.5"
These duck coasters are the perfect baby shower favors. They are colorful and functional. 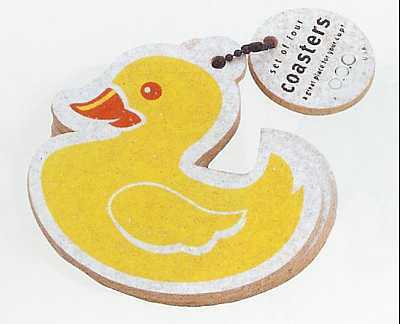 The duck coasters are made of recycled rubber. The duck coasters are also great for kid's wedding favors. ~3.25"W x 4"L Price is per set of 4. Duckie Confetti Bubble Bath These 9" tubes are filled with 50 grams of lemon scented, duck/circle confetti bubble bath. The colors are yellow, white, and light blue. 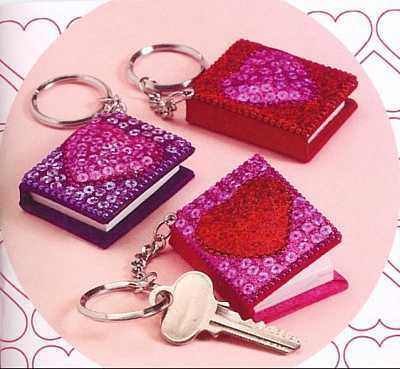 These are the cutest things to give as gifts or to keep for yourself. Milk Chocolate Sports Balls Are you an athlete or a sports fan? These milk chocolates will be a big hit with your guests! These chocolates are sold by the pound. Please note that due to the melting point of milk chocolate, it may not be shipped in certain areas, at certain times of the year. Price is per pound. ~72 pcs per pound. 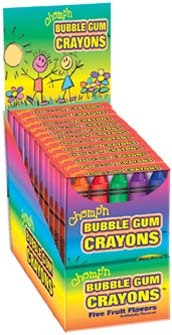 Novelty Bubble Gum Crayons These would make cute favors for children or for a themed wedding. They are novelty packaged bubblegum crayons. They are sold as individual boxes. Price is per box. Must order in increments of 12 boxes. 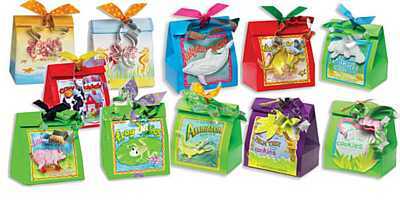 These are the cutest novelty candy containers. They make great wedding favors. Easy to fill and easy to personalize. They even come with their own silver scoop. Your guests will talk about these wedding favors for a long time. 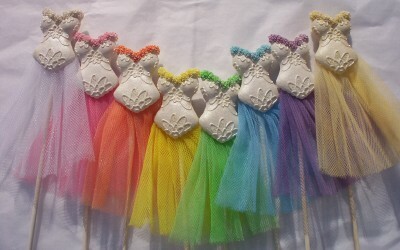 They are perfect for the "A Scoopful of Love" themed favors. 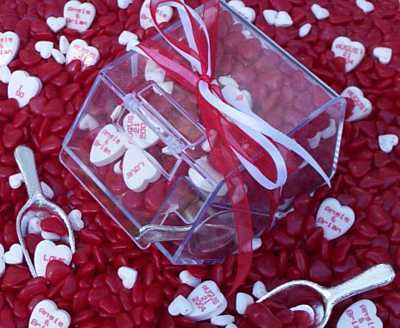 Each will hold about 1/4 to 1/3 pounds of small candy such as jelly bellys, almonds, or chocolate heart candy. 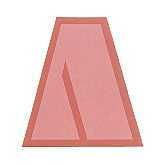 3.25 x 2.5 x 2.25 Larger sizes are available upon request. We have different sizes available for special order. They must be ordered in increments of 12. Double 2.5" w x 4"h x 3"d Standard 3.5"w x 3"h x 4.25"d Large 4"w x 3.5"h x 5.25"d Please allow up to 2 weeks for special orders. 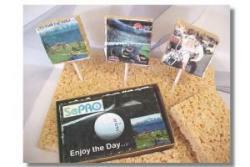 Personalized Photo Pop - 3 x 3 rice krispy treat These are excellent additions to your special event! They are individually bagged and tied with tulle. These pops are full print. You can have your names and date printed on the picture at no extra charge. This is an excellent bargain for photo chocolate! Sold in increments of 12. 2 week lead time, once order is finalized with photo received in digital form. If you have to mail the photo, please put your name and address on the back of the picture. Mailing should be your last option. Most copy centers will digitize your photo and then you can email it. 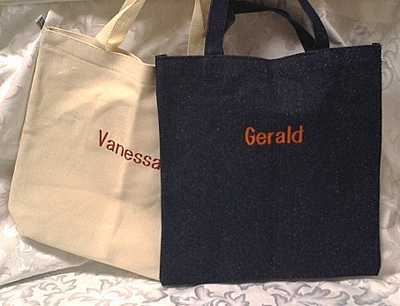 Personalized Tote Bags These are perfect for carrying around wedding day essentials or to put goodies in for your hotel guests. These are great for kids! 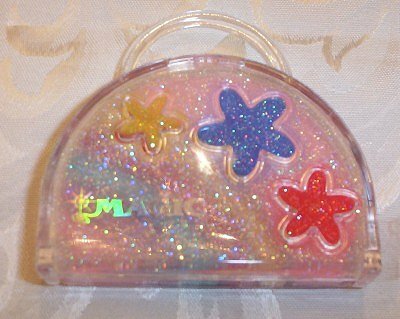 You can fill it with popcorn, candy, water, maps, videos, and other fun things. The wedding party can have a change of shoes, makeup, tissue, or a change of clothes tucked inside. The bags measure 14 x 14. One name only for the personalization. 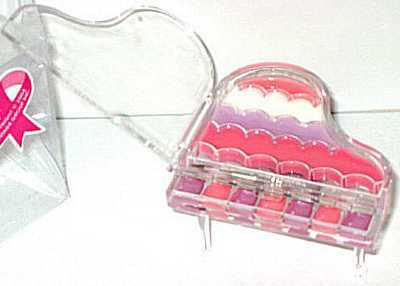 Purse Lip Gloss This cute little purse lip gloss is perfect for the girls! Great for the sleepover goody bags or bridal party gifts. They also make cute shower favors. 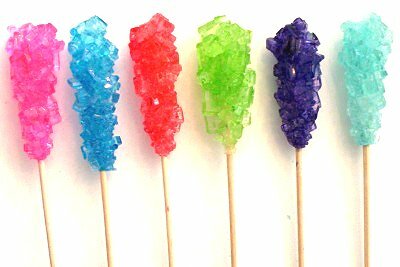 Rock Candy This candy will be beautiful in your glassine bags and matching ribbons! They also taste good. Children and adults will love this candy. This candy is sold by the pound. Rock Candy - Strings This candy will be beautiful in your glassine bags and matching ribbons! They also taste good. Children and adults will love this candy. This candy is sold by the pound. Sand Cookies - Singles A real beach bucket and shovel packed with all-natural cinnamon sugar cookie mix, smiley starfish cookie cutter, and easy recipe (just add water), cellophane wrapped for easy shipping and giving. 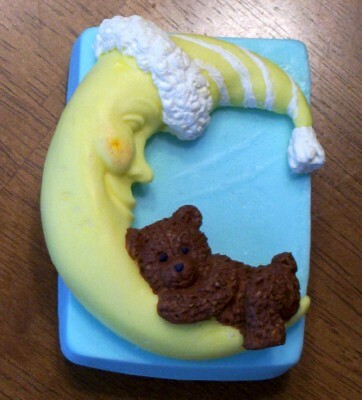 Sleepy Bear Soap This beautiful 5.1 oz bar of soap features a little bear hanging over a night-night moon. The detail of the bear is superb! 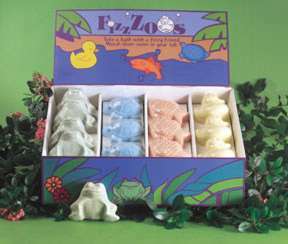 These soaps are great decorations as well as fun to use. This soap is 100% coconut glycerin, fragrance, colorants, and soap paint. Measures 3.25 x 2.5 x 1.5"
Snail Pals Awwe. These little snail pals are just adorable. 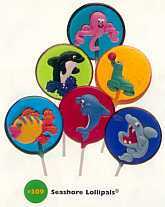 They are perfect for the kids' table or favors at boy baby showers. You know, "frogs, SNAILS, and puppy dog tails". They are assorted and 100% edible. Approximately 1.5". 1 week lead time. This category has a total of 32 products divided in 28 per page.